Life can take an unexpected turn and when it does, the things that we tend to take for granted, our health, living arrangements, personal relationships and confidence can become tenuous at best. Brain starting playing music at the age of twelve and his connection to music carried him into his adult life, sharing his passion with others as a piano instructor, recording music in studios and performing rock and jazz music with bands across California. Brian was right where he was meant to be in life and things were going wonderfully. He and his girlfriend made the decision to relocate to Arizona in order to be closer to her family in 2012 and found a perfect 2 bedroom home to rent in Phoenix with room for his musical instruments. It was around this time that Brian was diagnosed with myopic macular degeneration, for which there is no treatment or cure. Even with vitamins and supplements slowing the progression, Brian was told that it will eventually lead to blindness. He was forced by circumstance to retire and apply for disability benefits. Even with this setback, Brian continued to share his passion for music with others. 2014 brought with it another devastating setback when Brian’s girlfriend suddenly and unexpectedly passed away. Through the grief, Brian realized that he was now saddled with the crippling expense of rent and utilities and would be unable to afford the home he had come to love. 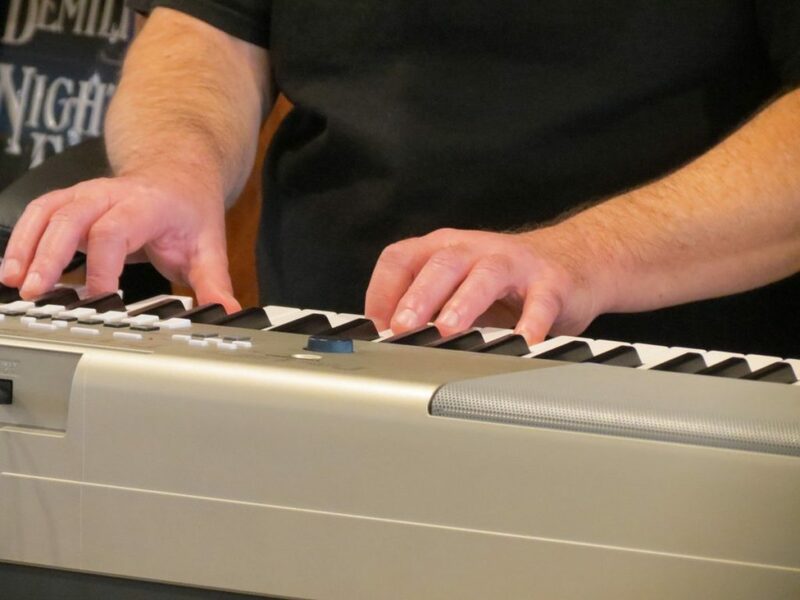 Unable to qualify for a majority of the apartments in the area due to his income and disability, Brian sold his music equipment to pay off his debt and began searching for affordable housing. His search led him to one of FSL’s communities where he was met with acceptance, support and compassion from his new neighbors and friends. “When I moved here, I saved a little money on rent and utilities; that’s nice, but the neighbors make this a great community!” said Brian. Brian found a home with FSL and friends in the neighbors he is now surrounded by. Our safe and specially designed communities have allowed him to remain independent in light of his diagnosis and our on-site food pantry ensures that he never goes to bed hungry. He is able to engage with others through the programs and activities offered and once again has an audience that appreciates his musical talents and often demands encores! FSL’s Rental housing program provides appropriate home choices for seniors and individuals with mobility and specific ability requirements. With many affordable rental options in the Phoenix metro area and statewide, residents are encouraged to personalize their surroundings and enjoy neighbors and community activities. All of our rental properties offer programs which provide security as well as independence and community connections. With activities available to keep them active and meet their neighbors, residents are quick to call FSL home. To find out how we can help you with your housing situation, give us a call and speak with a member of our staff. If you are interested in an affordable rental home, please call Debbie Shepherd at 602-285-1800. NextWho Can Benefit from Adult Foster Care?